Dr. McConkey is residency trained Optometrist who specializes in ocular disease. She is a Bel Air native and graduate of C. Milton Wright High School. In 2009, she graduated from the University of Maryland, College Park with a degree in Cellular Biology and Molecular Genetics. 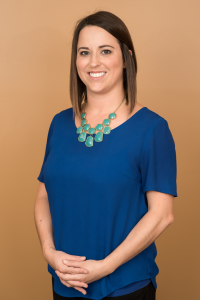 She graduated in 2015 from The Pennsylvania College of Optometry at Salus University, with academic high honors and clinical honors in primary care and low vision and an Advanced Studies degree in Retina. During her time at Salus University, she was inducted into both the Gold Key Honor Society and Beta Sigma Kappa Honor society. She was awarded the Vistakon Pat J. Cummings award, in 2013, for Clinical Excellence presented for attention to high quality patient care. In 2015, she received the Conforma Contact Lens Award of Excellence. Following graduation from Optometry School, she completed her residency in ocular disease. As a result of her advanced training, her areas of specialty include glaucoma, macular degeneration, diabetic retinopathy, ocular surface disease, low vision, and fitting contact lenses, including scleral lenses. She is a member of the American Optometric Association and the Maryland Optometric Association. In her free time, she lectures to local doctors and community groups, like the Girl Scouts and Senior organizations. She plays the viola with the Susquehanna Symphony Orchestra, and travels as much as possible.